Established in 2008, Integrity Investigation Services was incorporated by a former police officer who has vast experience in the work of surveillance, intelligence gathering and criminal investigation during his service with the Singapore Police Force. Over the years, we have helped many corporate and individual clients to obtain the evidence that has given them the ability to make informed decisions and achieve absolute peace of mind. Our reputation is built on our complete discretion and cost effectiveness, achieved through the use of the most advanced techniques and some of the most highly experienced Private Investigators in Singapore and overseas. We pride ourselves on excellent customer service and our help does not finish once we have completed your case. We are always here to answer any questions you may have. At Integrity Investigation Services, we render a number of services to our clients. Please feel free to send us any enquiries with regards to your requirements and objectives. Your location? Perfect. Your staff? Experienced and well trained. Your products or services? Top notch and competitively priced. So why is the top spot alluding you? Wondering whether your partner or spouse is really working late hours? Employing a private investigator to check on your partner is a difficult decision, however not knowing could be more difficult. Our professional investigators will assist our clients through this process of finding out the truth in a discreet and confidential manner. Background checks and investigations are an integral part of any fact-finding mission. If you are dating and you think things might start to get serious, or if you have some suspicions for any reason, it would be wise to have a background investigation conducted for you so that you are protected. The breakup of a family is never easy. In some cases, the process will happen naturally, amicably, and smoothly, with each party ending up with more or less the deal that they want. However, this is not always the case – for these times, you may need private investigation services. Here at Integrity Investigation Services, we offer a vehicle tracking service so you’re able to see exactly where a particular vehicle goes and when. You’ll be able to see the house number and street where the car is parked outside, so you can learn where your partner is going, and who they’re going to see. If you’ve run out of avenues to look down in your search for someone, and you don’t now know where to turn, you’ve come to the right place. 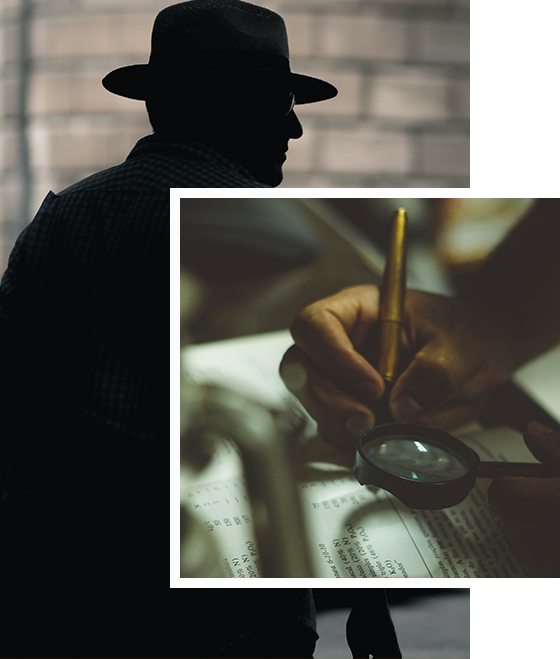 Our specialist team of private investigators has extensive experience in tracing people and we are confident we will be able to get you the answers you deserve. Integrity Investigation Private Investigators have the ability to handle situation discreetly and confidentially. We have expand our investigation network in many countries, including Malaysia, Hong Kong, China, Taiwan, Indonesia, Philippines, Vietnam, and Thailand. Submit your request via our online form and we will respond to you within 24 hours.